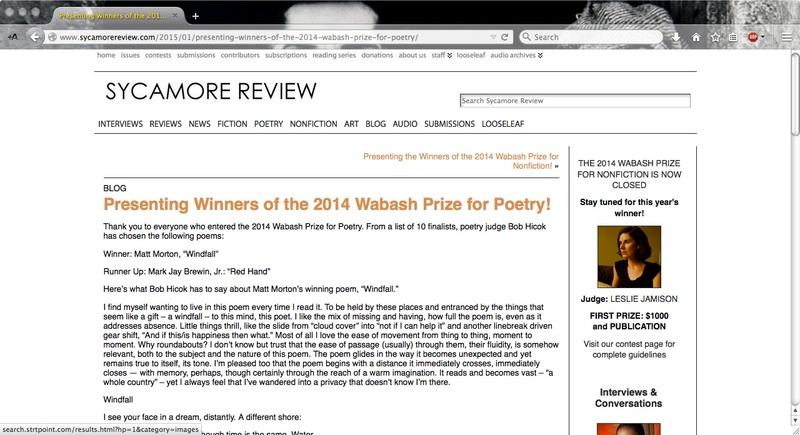 Poem Selected as Runner-Up for 2014 Wabash Prize for Poetry | MARK JAY BREWIN, JR. The notion behind this poem, or that was given life as the poem took shape, of how far we’ll go to change, is made vibrant and frightening here. That jolt seems necessary to get at how much we can become possessed by our desires. The ending is great – the cutting away of self to obtain some other self, the severing of worth to finally be of worth – is scary/cool in its reflection of what we often do. The brother’s turmoil acts like a wind in the poem, sending it thrashing our way. As ideationally as this poem can be read, the brother keeps it intimate. Not that I think this was intended, but the title has echoes I find interesting. Red hand brings to mind red handed, brings to mind caught, as we – something deep in our nature – is caught by this poem. And that’s pretty darn cool. 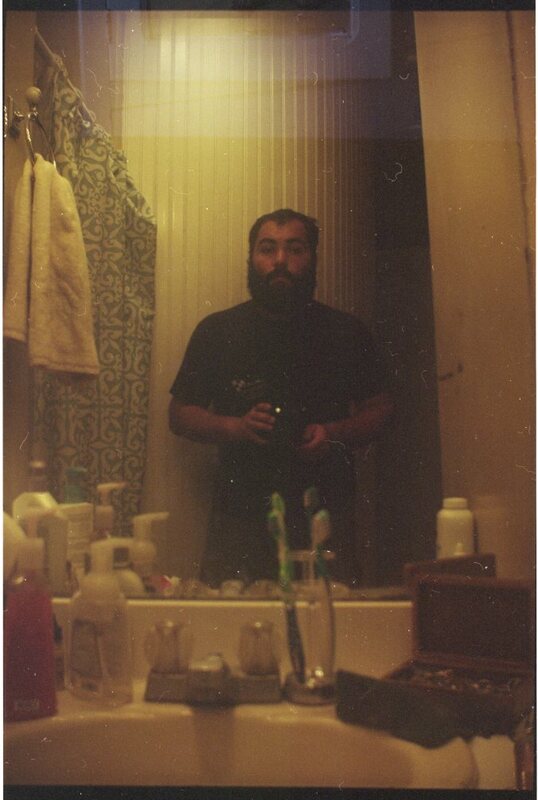 Please, click to read the winning poem (“Windfall,” by Matt Morton) on Sycamore Review’s website.